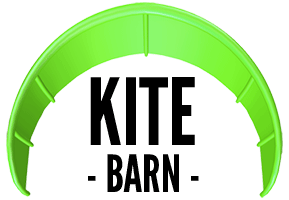 The RPM is the kite of choice for instructors, world champions and everyone between. Open-C canopy delivers versatile, reliable performance in all conditions. Some of the busiest schools in the world use the RPM as their go-to kite because of its reliability in any wind condition and its bomber construction. Meanwhile, at the opposite end of the spectrum, the RPM is a championship-level freestyle kite that has propelled multiple riders to world titles. For general freeriding, it provides responsive handling, smooth power delivery throughout the window, great boosting and powerful but predictable loops. For dedicated freestyle, the RPM delivers the competitive edge with amazing pop and carry, flawless unhooked performance and multiple customisation options to fine-tune handling to adapt to varying conditions. The RPM is a high-flying, hard-charging kite with multiple world titles under its belt. But the RPM isn’t built for the most elite competitors; the top of the podium is just a byproduct of exceptional design. The RPM is built for riders like you. You want safety, reliability and predictability in all wind conditions. You want high performance and low risk. You want a kite that won’t hold you back, no matter how much you progress. You want a kite you can count on when conditions get gnarly, when your friends challenge you to a jump-off or when you’re bound and determined to take that next step in progression, whatever that may be. If that is you, your kite is the RPM. RPM bridle setup: The RPM features Slingshot’s unique shock absorbing IRS bridle system. This pulleyless, direct-connect bridle incorporates bungee lines that flex and retract to keep proper tension in the lines as you steer the kite. Slingshot introduced this bridle concept in 2015 and have had overwhelmingly positive feedback about the responsive steering and direct feel it creates. For customized performance, the RPM’s wingtip bridle can be connected at three different points, which allows for tuning of bar pressure, kite feedback and steering speed. Versatile Open-C Canopy: The RPM is the original Open-C shape that spawned an entire category of versatile, freeride/freestyle crossover kites. The Open-C shape that provides the perfect combination of explosive power and pop, big boosts, solid unhooked riding and high-performance handling with user-friendly characteristics like easy relaunch, big range and depower, responsive steering and solid upwind ability. Customize Your Ride: The RPM features multiple attachment points at the kite- both on the leading and trailing edge- that allow riders to fine-tune the kite’s handling and performances based on their riding style and the conditions of a particular session. This tuning is done quickly and easily and makes a big impact on the kite’s overall performance; you can choose different settings for boosting big, for unhooked freestyle, for user-friendly freeride or for riding waves, to name a few.